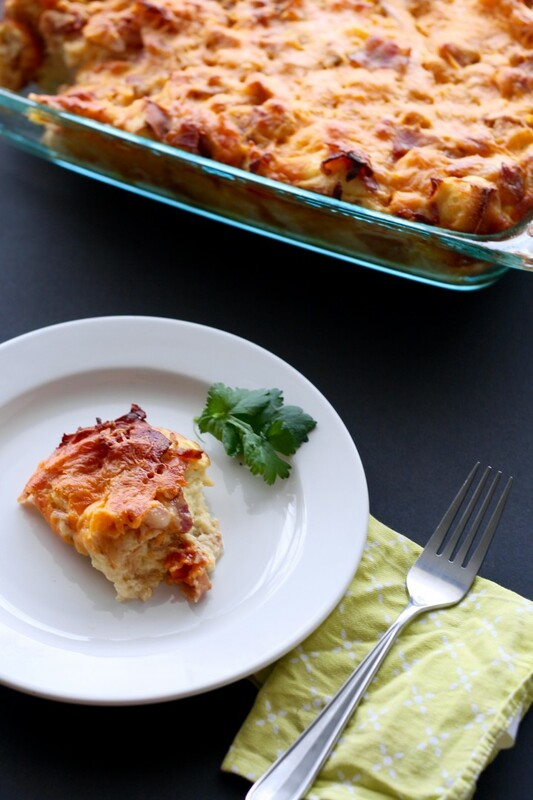 Strata, egg bake, savory bread pudding, overnight breakfast casserole it really is all the same thing. Are you intrigued? You should be! 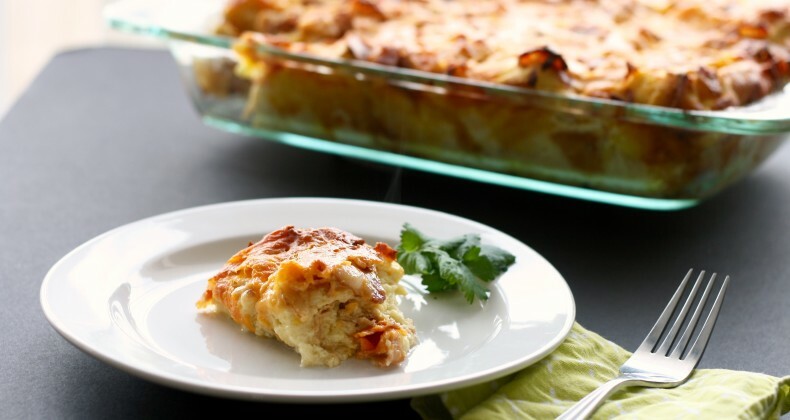 This is a breakfast casserole you prepare the night before and pop in the oven to work its magic in the morning. It is the BEST way to cook breakfast/brunch for a crowd without working your tail off. Hey the cook wants to enjoy all the mimosas and Bloody Mary’s with the guests too. This dish allows you to do that! I have made this dish countless times when I’ve hosted brunch parties over the last 10 years. In fact egg bake was the very first recipe I ever posted when I first dipped my toes into recipe development/blogging in 2007. Each year it is the most popular recipe on my site. Day old crusty bread works the best for the strata and I find in the summertime, I have lots of day old (bread) buns on hand. Extra hamburger or hot dog buns are perfect here. Make it for yourself (it reheats well) or make it for a crowd, either way I hope you enjoy this classic recipe. Bake uncovered for 60 minutes or until eggs have set. Remove from oven and let cool 5 minutes before serving.